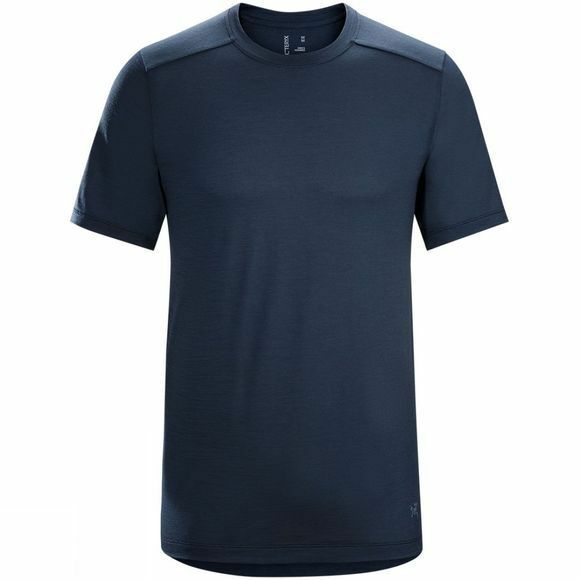 The Mens A2B T-Shirt from Arcteryx is a merino wool and polyester blend tee that is sure to be your go-to tee. Made from Polylain fabric that is lightweight but durable and features that odour-resistant properties of merino wool. Simply throw one and you'll love it from the first wear.